With its big screen and high resolution, iPad is very perfect for watching videos. And you can enjoy videos anywhere thanks to its portability. But not all of the video formats are compatible with the iPad. So what video formats are compatible with the iPad and how can we play these iPad incompatible video files on iPad (include iPad 1/2/3/4, iPad Air, iPad Mini and iPad Pro)? The following will answer those two questions. Video Converter Ultimate is an excellent iPad video converter that supports over 150 video formats like AVI, WMV, RM, RMVB, SWF, MOV, HD. Using this iPad video converter, you can easily convert WMV to iPad video, AVI to iPad video, FLV to iPad video, RMVB to iPad video, etc. The conversion speed is faster than other traditional converters. This professional converter also has the function of editing videos. 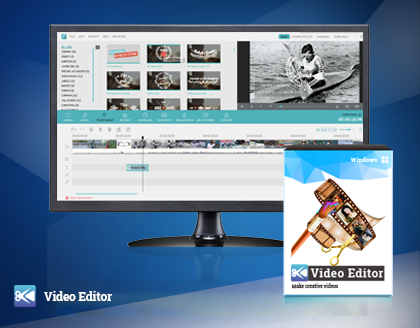 You can trim, crop, rotate, adjust volume, add effects, watermarks and subtitles easily. Videos Converter Ultimate supports you to convert various video format to iPad video. Download the trial version below. Q 1: What video formats are compatible with iPad? Q 2: How to convert any video to iPad format? Q 1 What video formats are compatible with iPad? From the Apple's official website, we know that iPad series only support .m4v, .mp4, .mov file formats with H.264, MPEG-4 videos and AAC audio, and .avi file format with M-JPEG video and PCM audio. If you don't know this format knowledge, you can also convert video format to iPad directly by selecting the devices from the format dialog of Video Converter Ultimate. Q 2 How to convert any video to iPad format? To start the conversion, you need to download and install the Video Converter Ultimate first. Open the program, find and click "Add Files" icon on the "Convert" tab to add videos for conversion. Most video formats are supported by this program. You can also press "Load DVD" to add DVD movie from your DVD driver. In the "Output Format" field on the right of software window, click the "Output Format" > "Device" > "Apple" tab then select your iPad model. You can choose "High Quality" or "Small Size" above the blue "Convert" icon. Click the "Settings" button next to "Preset", then change the settings according to you need. Specify the output folder to save your video at the bottom of the window first. Press "Convert" icon to start conversion. After converting progress finished, you can add the video files to your iTunes library then sync on iPad device to enjoy your videos with your iPad.